Accepted full paper will be invited to give the oral presentation at the conference and it'll be publsihed in the conference proceedings. 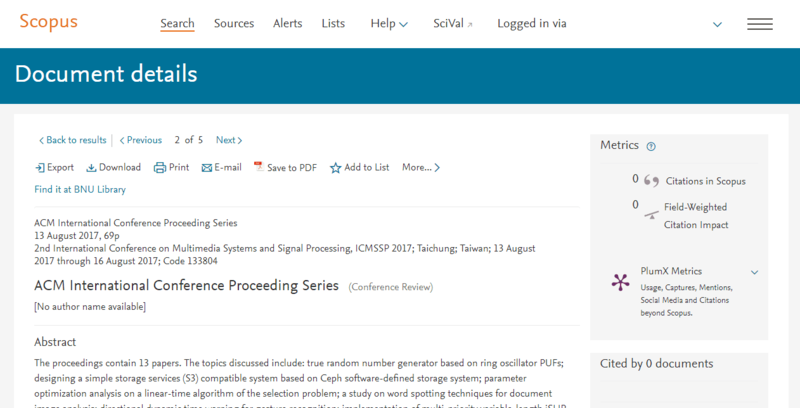 Welcome to the official website of the 2019 4th International Conference on Multimedia Systems and Signal Processing (ICMSSP 2019). It'll be held during May 10-12, 2019 in Guangzhou, China. 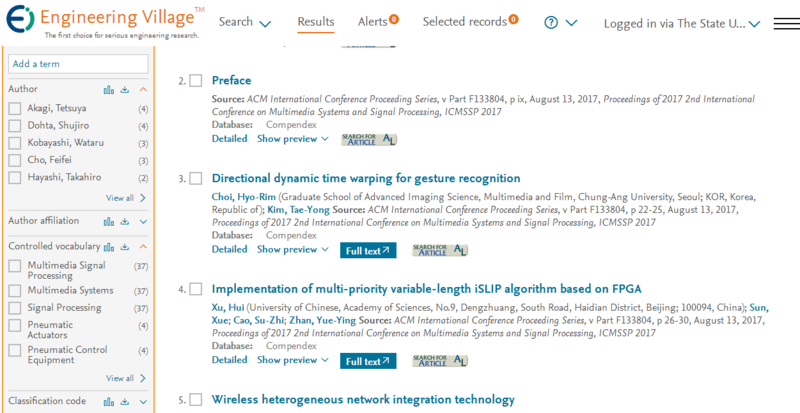 The aim of ICMSSP 2019 is to present the latest research and results of scientists related to Multimedia Systems and Signal Processing topics. This conference provides opportunities for the different areas delegates to exchange new ideas and application experiences face to face, to establish business or research relations and to find global partners for future collaboration. We hope that the conference results constituted significant contribution to the knowledge in these up to date scientific field. All full paper submissions will also be peer reviewed and evaluated based on originality, technical and/or research content/depth, correctness, relevance to conference, contributions, and readability. The full paper submissions will be chosen based on technical merit, interest, applicability, and how well they fit a coherent and balanced technical program.All full paper submissions will also be peer reviewed and evaluated based on originality, technical and/or research content/depth, correctness, relevance to conference, contributions, and readability. The full paper submissions will be chosen based on technical merit, interest, applicability, and how well they fit a coherent and balanced technical program.